The Annual National Road Festival is held the third weekend in May. 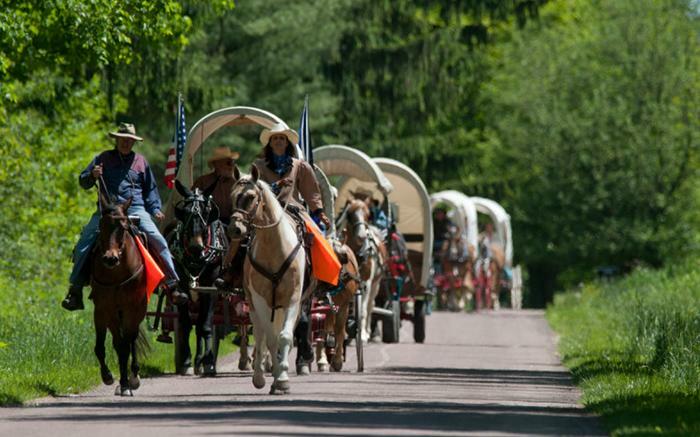 It is known as the “world’s longest festival” happening along 300 miles of the Historic National Road in Pennsylvania (Route 40) through Somerset, Fayette, and Washington Counties. It is organized by volunteers from every community along the Historic Corridor. An authentic wagon train make its way from town to town. This festival does not take place in just one place. Various communities and towns along the 300-mile route hold their own activities – some with festivals, arts and crafts shows, music, vendors, entertainment, food, etc. Some of these communities are Claysville, Scenery Hill, Hopwood, Uniontown, Brownsville, Malden, and Farmington.